He will be demonstrating The Cryptex Box, a delightful and possibly complex project made easy by the skills of this Artist. Raymond has previously shown us the teapot and the Blues Bowl Guitar. Now adding this Cryptex he additionally shows his skills as a very accomplished Woodturner. Raymond has Demonstrated widely in the area, a varied and excellent craftsman you will be taught and challenged by this man. Elections evening for the officers of The Waxhaw Woodturners will only take a few minutes. 6:00 PM Coffee by Joan to share with friends. *6:30 PM short Business meeting and Elections. *Raffle for some special wood, good company to share ideas and skills, and Show-N-Tell to show your latest Creation. Merry Christmas to all the chip makers all over the entire world! Marvin Elementary School, close to New Town Rd. in Waxhaw, asked us to join their Fall Festival. Our club voted for it and we currently have two woodturners (one plus a couple) who have volunteered their time. We would like to have two more volunteers from our club and anyone else who just wants to come and hang out with us. Please bring your own chair. I'm told that there will be a Dixie’s BBQ concession stand there. 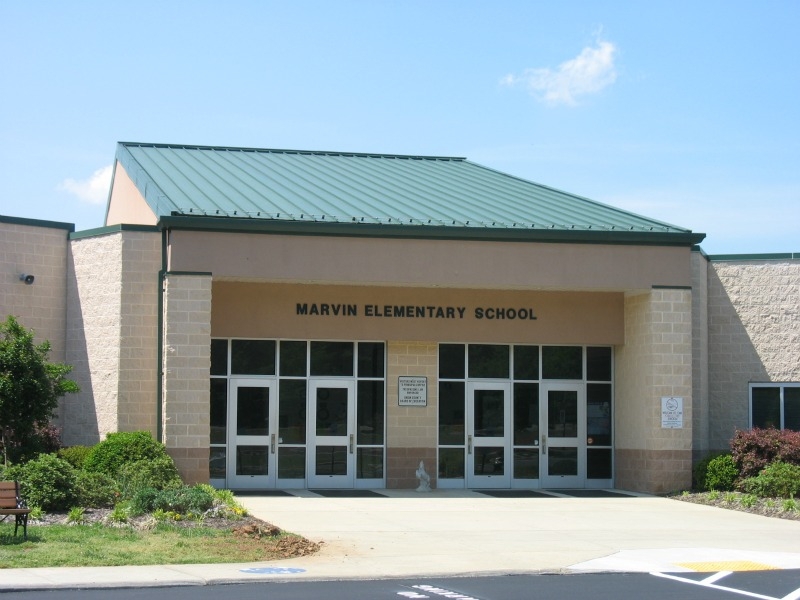 Marvin Elementary is providing our electricity. Please do come out and support the club. A photo sphere that Daniel took and it’s now on Google Maps. Use your mouse to drag left and right and zoom in/out of the image by using your mouse wheel or two fingers on a Mac. See a mix of photos and videos taken by Daniel. Of course Roland Hege cannot just make a plain Crochet Hook, it has to be special. So how does a woodturner take a plain one and make a unique one? Well, you must come and see this Demonstration - just take a small piece of a nice species of wood, chuck it up on your favorite lathe and magically it becomes a beautiful Crochet Hook that a special artist-with-woolens will treasure for a very long time. These are just a few from Roland Hege's artistry repertoire which he will demonstrate on Tuesday November 5, 2013. I bet you can't wait—like I can't—to see how he does it all. And I bet it isn't that hard either...just follow his instructifications and bamo! It's created from that piece of wood you have been saving for a long time. A short business meeting and a couple quick reports all starting at 6:30 PM and then Mr. Hege will show how it is all done, step by step. Don't forget the Famous Raffle which includes a nice $25 Gift Certificate from our local Woodcraft Store in Matthews. Bring a Show And Tell piece you made, and maybe some wood to share with someone that really would love to have it. See you there for some coffee......yes, Joan's specialty. Anatoly's shop tour on October 26, we are expected at 2 p.m. Let's carpool and arrive there just before 2 p.m.
We are all invited for a tour of the Shop of a woodturner that does some amazing work. Anatoly Tsiris makes very creative and LARGE vases using a specially built custom lathe. This is a special and unique event that will entertain and amaze you. Bring your spouse, and any significant other you can find and come with the Waxhaw Woodturning Club to experience this event. Anatoly will give us a real treat in examining how to, and why he turns large wet tree trunks into works of art. Anatoly showed these vases at the last NC Woodturning Symposium. Anatoly Tsiris was born into a family of schoolteachers in the small Ukranian town called Kmelnitsky. Carrying on the family tradition, he graduated from college with a teaching degree in math and science. However, deciding he was more of a craftsman than a scholar, he took a job at Machine Building Factory in Jugansk, Ukraine where he worked on a variety of metal-cutting machinery. Over thirty of his improvements and additions for the work process were registered and used in production. In just a few years, Anatoly became a recognizable figure in Charlotte’s artistic crowd. A McColl Center of Art former affiliate artist, Anatoly is still closely involved with the Center. In 2007 he received the Creative Loafing Critics Pick Best Local Artist Award. He is an active member of the Charlotte Woodturner’s Organization. His works are shown in galleries of North Carolina, South Carolina, and Georgia and purchased by many corporate and private collectors. His pieces are in collections of NC museums including Charlotte’s Mint and The Gregg Museum of Art and Design in Raleigh. This outing is designed with our spouses in mind, followed by a nice evening meal at a restaurant on the way home. Come and Celebrate with us for a good year of woodturning. This is a three-day event packed with all kinds of demos and nationally recognized turners along with regional ones. Today, Saturday and tomorrow, Sunday, we’ll be at the Waxhaw Autumn Festival. This following account of the events was written by Daniel, our president, in the picture below. This past weekend on Saturday (7:45 a.m. – 6 p.m. | event time: 10 a.m. - 5 p.m. ) and Sunday (12:30 p.m. – 5:35 p.m. | event time: 12 p.m. – 5 p.m.) our Waxhaw Woodturners club took part in the Waxhaw Autumn Festival. Here are a few pictures of my work and the others with us. We had several volunteers on Saturday morning to help us set up and only three all day who turned. We had three lathes and our main purpose was to accept donations for spin tops. On Saturday, several donated but on Sunday, several just took theirs and didn't give. On Sunday, I received special requests for honey dippers so I requested a $10 donation. We all used Poplar wood which isn't good for a honey dipper because the edge can easily tear out or break off if dropped. We stood on our feet most all day and all were tired and sore on both nights and during the day. Daniel became a honey dipper “celebrity” on Sunday. A friend he worked with in media production, visited with his two daughters. Daniel has posted more pictures here. Come join us at 6:30 p.m. for the meeting and at 7 p.m. to watch John Benton demonstrate making a sushi platter. Please bring items for the raffle, we won't have the Woodcraft gift card tonight. We had a good turnout and one new member. Our demonstrator didn't appear and our members made up for it with the wonderful Show-and-Tell items and Tim Rinehart talked about his wood-dying process. We’ve invited back Donald Olsen who presented the Crotch slideshow last time to do a “hollowing from the bottom” for us this time. He will start the presentation with a slideshow followed by lathe work. Please take this week and next to make a woodturning or woodworking or woodcarving piece to Show-and-Tell at our meeting. Challenge yourself by making a miniature piece. If you have wood or other wood turned items for the raffle, please bring those. Please come at 6:30 p.m. for the business meeting followed by Show-and-Tell, raffle and demo. Daniel, our President, dropped by the Eight Legs Gallery in Waxhaw (the white house surrounded by art, on the curve opposite Fox's Pizza and the old brick factory on Hwy 75). There are many artistic pieces in there and he will find himself going back to draw inspiration. Only a few woodturning pieces were on display. Most all these items are for sale and the shop owner said that to display them, there is no charge and they will pull them inside before the night. They take a 35% consignment fee from the sale, so make sure you add that much before you mention your price to them. The owner would like to see more woodturning pieces displayed. Today, on a hot Saturday from 9 a.m. – 2 p.m., Moe Gingerich and Daniel Brinneman took to the road to hand deliver the prizes to our 2013 Waxhaw Spring Fest raffle winners. We got each to smile for cameraman, Moe, holding their prize as Daniel presented it to them. Thanks goes to our members for turning these artistic pieces for the raffle. Each one of our winners was very excited. We may have a few future members. Our old address will continue to redirect all traffic to the new address until it expires. Our illustrious President Daniel (Boone) Brinneman has just informed us the June WORKSHOP will be moved to Saturday July 6, from 9:00 AM 'till we have created some really wonderful designs and pieces- and end at 4:00 PM. There will be various Presenters and Teachers to inspire the most Creative and Lowly of all attenders! Stay tuned for all the facts and figures. Don't forget there is planned a nice lunch along with Homemade ice cream for Edna's Kitchen so come hungry and ready to be inspired to create something new. This promises to be a very nice day making chips and a good time of camaraderie for all attenders. Invite someone new, bring them along to have a good time. Mark your calendars! Guests are welcome! Non-members/ Guests must pay $25 to cover their workshop participation and lunch. If you are planning to come as a non-member or bring a guest, please let Daniel know via email so we can plan ahead to have enough for lunch. Demonstration will cover how to make tools, how to sharpen and use them. Ed will cover the use of the Bedan tools and a precision inlay cutter. Plus hands-on practice for those who want. BBQ, beans, slaw and buns are catered by Wysacky Grill for 20 people. Homemade ice cream made by Edna’s Kitchen. Demonstration will cover making an easy and inexpensive Chatter tool. Demonstration will cover the art of deep hollowing. There will be no demo meetings for June and July. We will return full force in August, first Tuesday of the month. Roland Hege to demonstrate techniques to make your head full of new ideas. First a delightful design in Carnations. That will please even the most discriminating ladies in your life bring a smile when presented to anyone that is that special someone. As always, come in time for a very short meeting and introductions. We have the famous raffle which includes a $25 Gift Certificate from Woodcraft store in Matthews (on 74), some good wood you have been wanting to get, and often other special items. A discussion and final planning for the Waxhaw Spring Fest which brings us a lot of exposure and outreach to the community. Joan McKeithan always has her very tasty coffee to keep you awake (if you haven't been getting your sleep). Directions? Check out the page Contact/Directions at the top of this site. Where does a design idea come from, and what does it take to bring it to life? This invaluable design reference, for new and advanced woodturners alike, answers these questions and more. Derek Hayes starts with the basic principles and then addresses proportion, pattern, form, and working with different woods, color, and decoration. Hundreds of instructional photographs and illustrations assist readers at every turn. This practical, yet inspirational, book will motivate turners to take what they have learned and transform wood in new and different ways. Available for checkout from our library after the May 2013 meeting. A short video this time that demonstrates a simple but effective and useful technique. There may have been times when you have had to remount a spindle in a chuck and have found it difficult to get it running true. This video shows you how I do it. Sir Ed Pfau is our expert demonstrator for the month of April. He is a great one to teach new techniques and will show how to make a two-part goblet. He will show the best way to achieve high quality and a very interesting piece—he always does. So come and be challenged to produce something new and rewarding. Daniel walked in today and captured the students working at their lathes with Moe giving helpful hints. We have been approved for the Waxhaw Spring Fest. It was cheaper than expected and we have our own electricity. Make a nice piece for our public raffle! We will be holding a raffle at the booth for both days and we need your participation. There will be three raffle placements and we will ask each person who walks by to add $5 to the box along with their contact information. Waxhaw estimates to see 10,000 total for both days. That means we need six really nice items to give away. That's three per day. If you're willing to turn a really nice piece to be given away, you'll make 10% off the cash that is put in for your item. We'll put the rest towards our club account. If your item is not picked, you can always sell it, see below. Do you have wood-turned Items to sell? If you have pieces you want to sell, please write down the name of the piece, the type of wood, if it's safe to eat off or is it just for decoration, your selling price and your contact information. I'll need a picture of your item and this information requested by May 1, 2013, preferably by the email address above. Remember, if we sell it for you in your stead, we take 10% of the sale. So add 10% to your final sale price so that we don't have any complications. We'll write you a check within three weeks after the show. Donald’s (www.donaldolsen.com) slide presentation will cover selecting, positioning on the lathe and turning crotches into bowls and sculptural forms. Slides of before (log), during and after (turning) will be shown to help visualize what may be created from crotches. The demo will go for 1.5 hours or less. Come at 6:30 p.m. for the business meeting followed by the demo. Show-and-Tell and raffle follow. When it comes to the many traditional methods of working with wood, there's something very special about woodturning. Woodturning is easy to learn and quick to accomplish; with a few tools, limited practice, and a small amount of space, anyone can unlock the beauty of wood in the time it takes to prepare a meal. Woodturning is not discriminating; when it comes to wood, any chunk will do, including whatever is on your firewood pile. Best of all, woodturning is an endlessly fulfilling and rewarding craft because it is truly a personal expression of form and style: not only is every piece of wood unique, but every woodturner seems to invent his or her own distinctive approach to working with it. And though the basics are not difficult to learn, mastery is an absorbing pursuit that can take a lifetime. On Tuesday, February 5, 2013, Bruce Lacy (Vice President of Charlotte Woodturners) has agreed to demonstrate his Jeannie bottles. He'll also go through the process of making finials and texturing. Come at 6:30 p.m. for the business meeting followed by the demo. See you at the McKeithan shop on Steel Rd, Waxhaw. Need directions? Check the page Contact/Directions. Bring something you've made for Show and Tell and the monthly raffle.